Gap is up to 2s. Great work by Rosberg! Don't ever let Felipe Massa choose tyre compounds again. That mistake cost him 7s. Interesting. Ferrari didn't ask Kimi to vanish and let Alonso pass him! In a way double points made that race less exciting. Imagine if Rosberg had been defending to keep his championship alive. But main thing is, FELIPE!! 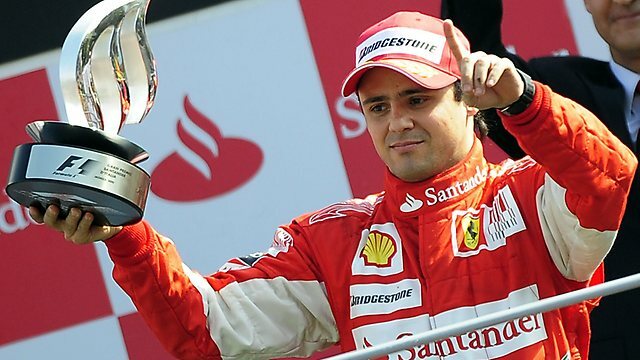 -Third, fourth or fifth and Rosberg fails to win. -Sixth with Rosberg out of the top two. -Seventh or eighth with Rosberg not in the top three. -Ninth and Rosberg is not in the top four. -Tenth (or lower) and Rosberg is no higher than sixth. -He wins and Hamilton is not second. -He finishes second and Hamilton is not in the top five. -He is third and Hamilton is out of the top six. -He is fifth and Hamilton is no higher than 10th. 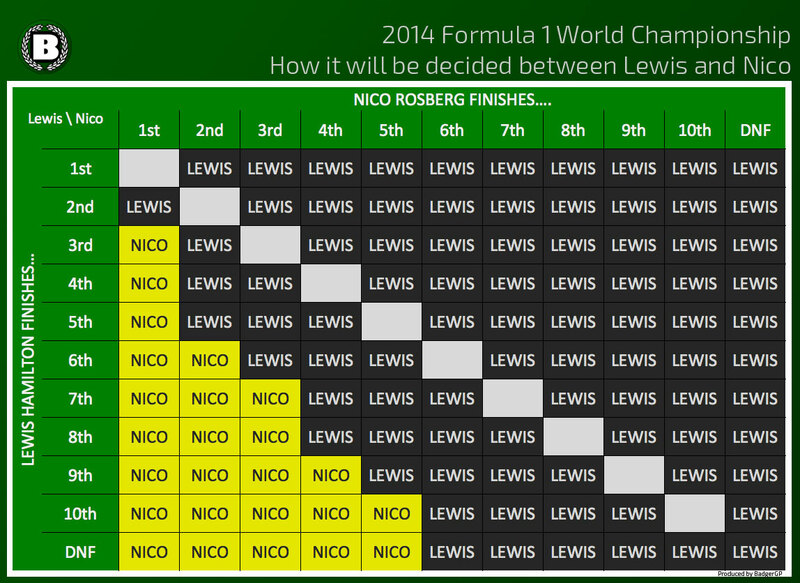 *Rosberg cannot win if he finishes sixth or lower. Cheering for Nico to win the title. It looks as if Mercedes and not Lewis made a big mistake by bringing Hamilton in a lap later than originally scheduled, which possibly cost Lewis the win in Brazil.